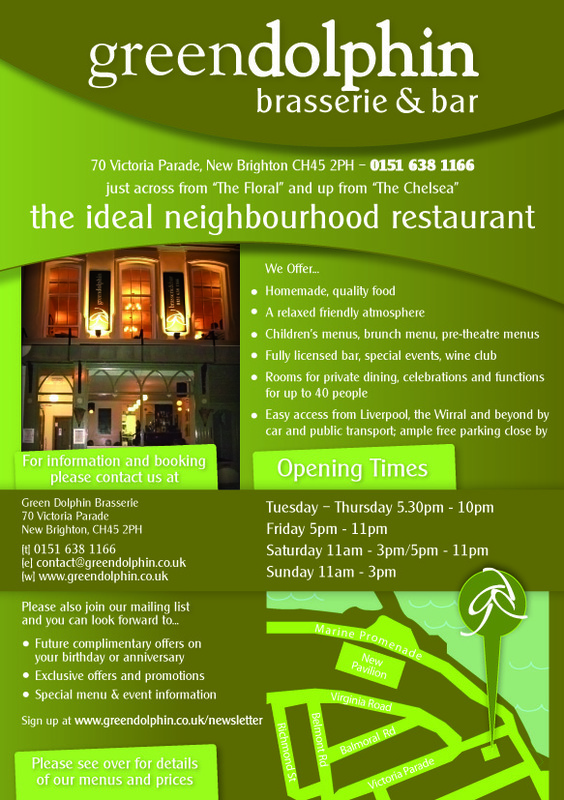 From 2007-2009, Kevin planned, owned and managed the Green Dolphin Brasserie & Bar in New Brighton. One of the aims of the venue was to provide intimate performance facilities with a policy of offering local upcoming artists opportunities to gain experience in a live setting. The performances were to consist of small groups such as acoustic duo/trios, string quartets, possibly stand-up comedy and poetry.